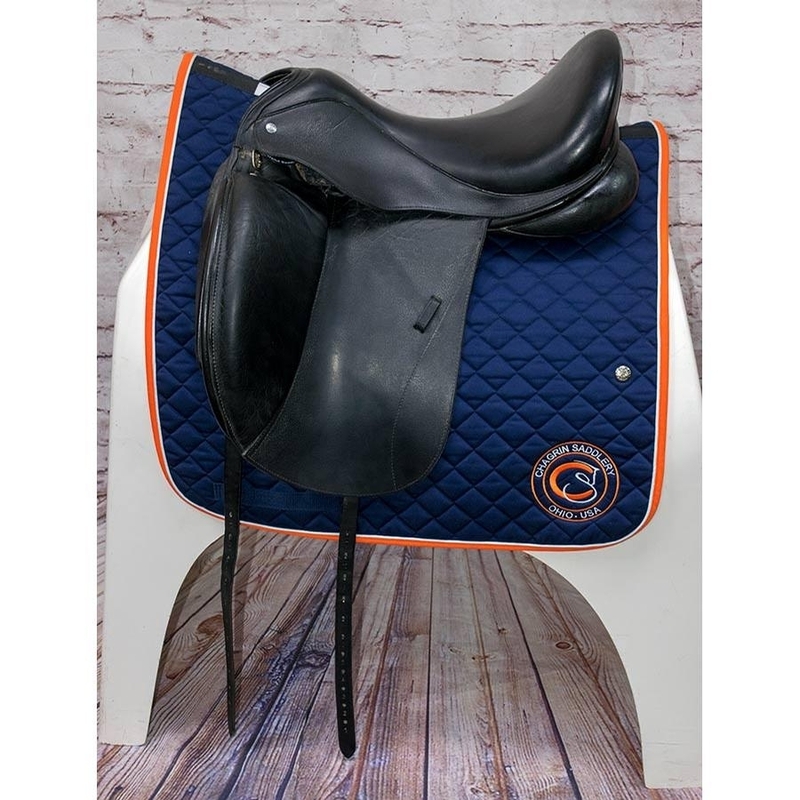 17 1/2 IN Custom Saddlery Revolution monoflap saddle in good condition. 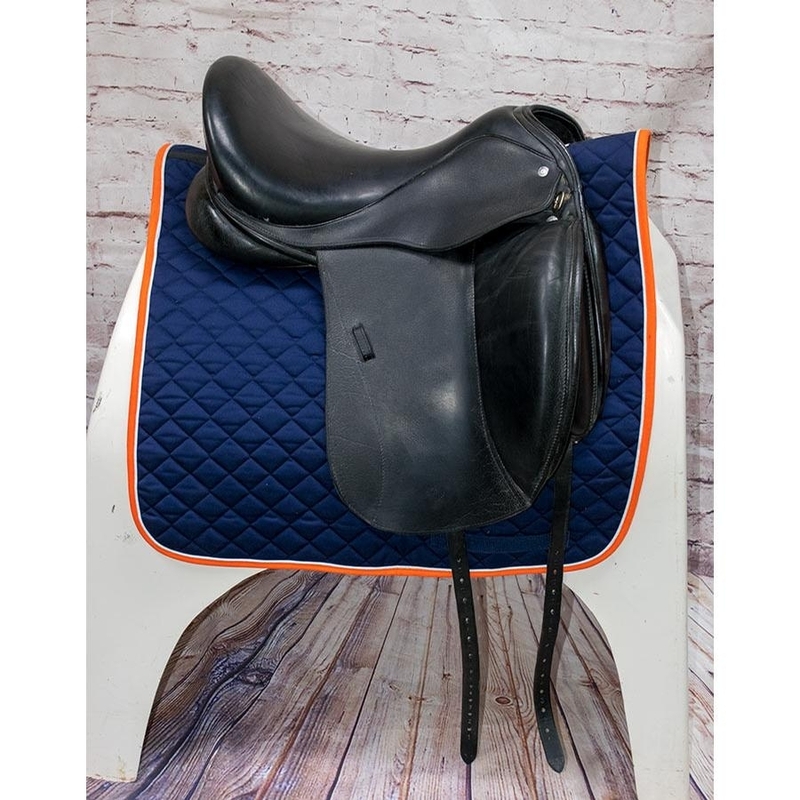 This American made saddle is crafted of buffalo leather for extreme grip and durability. 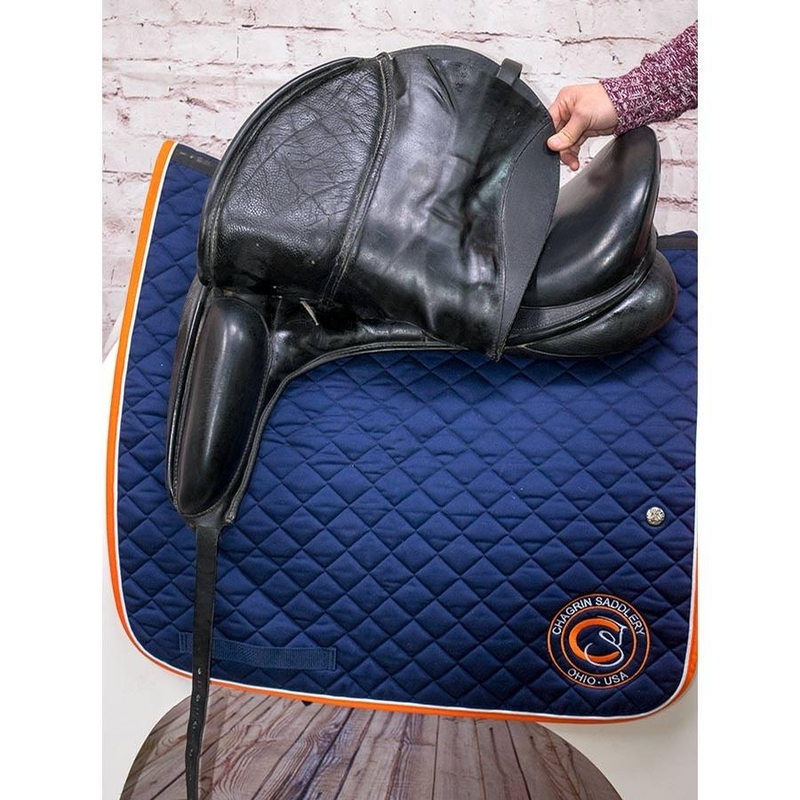 The seat is deep with a narrow twist and the flaps are Custom Saddlery's "petite" length with large knee blocks for support. The tree measures wide. 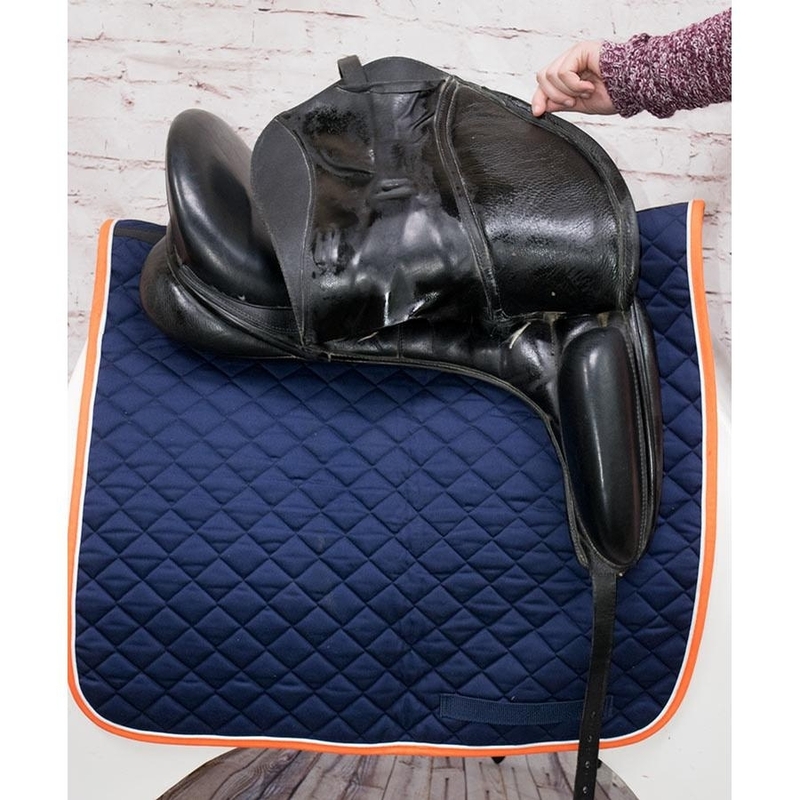 There is some wear on the flaps and pommel that is consistent with regular use however the saddle is in excellent condition otherwise.